1. Research the products yourself, online and in stores. 2. Research vendors, usually online, & get referrals from neighbors/friends. 3. Read warranties and guarantees carefully. 4. Check thoroughly for any available incentives, rebates, and tax savings. 5. Research ways of paying for it: buy, lease, or PPA, with or without a loan. 6. Get multiple quotes; choose best combination of price and quality. 1. It is very difficult to research/evaluate solar equipment, esp. panels. a. Unlike garage doors, PV systems are new. You've never owned one. b. You know the size garage door to get, but not what size PV system. c. PV systems are technically complex. e. Most info. on PV websites is outdated, misleading, or just plain wrong. f. Some solar websites are simplistic/condescending toward readers. g. Others overwhelm you with irrelevant technical jargon and data. h. You'll be told "all panels are the same" by some "experts." i. You won't be able to judge what is true or what is important. a. Consequences of choosing the wrong vendor can be serious. b. As a solar novice, you're easy pickings for unscrupulous vendors. c. It's even harder than researching equipment. d. Checking out a solar installer is a lot of work - a lot to check. f. Most solar dealers do bad work in many ways. h. Their personnel are usually poorly trained. k. It's hard to find friends or neighbors with PV systems. l. Even harder to find people with a good experience getting solar. m. Review sites (Yelp, Angie's List, solar review sites) are rarely helpful. n. Some great reviews, some terrible ones, and the rest in between. 3. PV warranties are tricky, confusing, and should not be fully relied on. 4. Incentives & rebates involve tax considerations, which can be complex. 5. Deciding how to acquire and pay for it is very important and very tricky. a. It can have a bigger effect on your savings than anything else. b. A PV system is a long-term (up to 50-year) investment. c. Inflation, utility rate increases, & taxes have huge effect on savings. 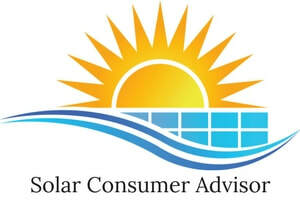 d. Solar can have a significant effect on the value of your home. e. It's more like investing in mutual funds than a home improvement. f. There are many financial options and combinations of options. g. You shouldn't trust the vendor or dealer to advise you on these. h. Vendors and dealers often make much of their profit on the financing. i. Sales people are rarely financially sophisticated enough to advise you. 6. Multiple quotes can easily make things worse, not better. a. It looks like apples versus apples, but it's really apples versus turnips. b. Quotes are often very misleading as to what you're really getting. c. They rarely give enough information to know how to choose. d. Some of the information on them is likely to be wrong. e. It's very difficult to check their accuracy yourself. f. Multiple quotes lead you to focus on initial price - usually a mistake. Not many PV-system shoppers know enough about all these issues to know what information they need, how to evaluate it, and how to decide among these choices. 1. “As the Push for Solar Increases, So Do the Scams, Sketchy Sales Tactics,” Orange County Register, Oct. 5, 2015. 2. California Solar Statistics, Find an Active Solar Contractor, accessed July 28, 2016. 4. “As the Push for Solar Increases, So Do the Scams, Sketchy Sales Tactics,” Orange County Register, 10/5/15. 5. Douglas Fishburn, “Solar Panels Could Ruin Your Roof,” 2014 Proceedings, RCI 29th International Convention. 6. "Selecting Solar: Insights into Residential Photovoltaic (PV) Quote Variation," NREL Technical Report Oct. 2015. ​Next, please see ​ Solar Websites Classified & Reviewed, because that is where most solar shoppers get their information and advice about solar.